UPDATES – hearing postponed. More at the bottom of the article. At Valley View Middle School in Edina. If you’re a gun owner who uses public transit? Unless you live within a mile or so of the school, it’s 2-3 transfers to get there. 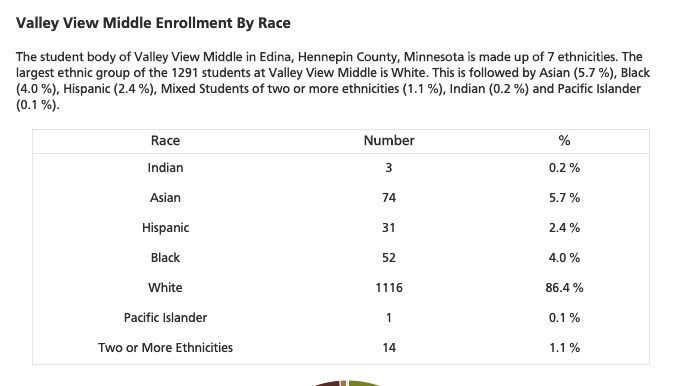 Oh, yeah – and it seems more than likely that the Edina school board is playing games, effectively barring just sent in groups from using public space in which to stage dissenting demonstrations. This was always going to be one of those sessions where we need law-abiding gun owners to step up and show the weasels in the DFL who’s boss. Protest against the useless and oppressive bills themselves. In the meantime, the good guys need to melt down Rep. Mariani’s phone line (651-296-9714) and blow up his inbox (rep.carlos.mariani@house.gov) with respectful, thoughtful, considered messages indicating that the People of Minnesota would really like hearings to be about policy, not DFL propaganda. Either way – whether the hearings are at the Capitol or at Valley View, if you could be rarin’ to go on Wednesday, let’s all make an evening of it, OK? …unless you get permission from the Superintendent per Minnesota statute. So send the Superintendent, and Valley View’s principal, a request to honor your permit. The template is right here. It should download an MS Word file. Change the return address and signature line to your own, and send it to the two officials (email address provided in the template). Then share your responses in the comment section. UPDATE + BIG WIN! – The “hearing” has been postponed and will apparently be moved. Where? Well, hopefully the Capitol. But we’ll see. Anyway – the good guys won this skirmish; apparently Rep. Mariani’s inbox was already gushing smoke when he walked in this morning (yes, I made that up, but you gotta admit it’s a wonderful image, right? ), and the Edina Schools got so many permission requests they’ve worn out the Control+V keys on several office keyboards. Get ready for the next go-’round. This entry was posted in Minnesota Politics, Victim Disarmament by Mitch Berg. Bookmark the permalink. You have to hand it to them. The reprobates know how to play the game. You’re job is to learn to play it better. I’d rent a school bus to travel in, maybe two, and hire a couple cops to ride shotgun. Making the point that the passengers, and the people attending the meeting are being protected by guns. Here’s a thought I had tonight while working with git. Git a version control system. It can be run on private servers, but if you work on a collaborative project, you likely will have to have an account at github.com. I have a github account because of some work I do on with a python module. You HAVE to have a github account to do this work. Github has been taken over by the SJWs. The have draconian terms of service that say, for example, technical skill or expertise can be used as a basis to criticize other contributors. They also say that you can be banned if you do things outside of github that violate their terms. I.E., if they knew the stuff I wrote in comments here, particularly that homosexuality and transgenderism should be considered mental disorders (as they were for many, many years), Github could, and probably would, yank my account. Imagine if Github’s SJWs decide that being a vocal 2nd amendment supporter — totally off the Github platform, never mentioned anything about it on Github — was a violation of their terms of service? I can see that happening, And I can see SJW activists going through the labor of matching NRA members to Github’s roll and taking positive action to oust them. This reminds me how the Nazi’s slowly, over years, ejected Jews from public life in Germany, or how the Soviets did the same with religious believers. In the old USSR, religious believers would purposely be scheduled for Sunday work shifts so they could not attend church. Belonging to a church excluded you from membership in professional associations, etc. You know that if the SJWs could do the same with NRA members, they would not hesitate one second to do it.